It’s not many days in February that are predicted to top 70 degrees, and while that didn’t quite happen yesterday, it was still a pretty nice day. Much too nice to sit inside or even putter around the yard. 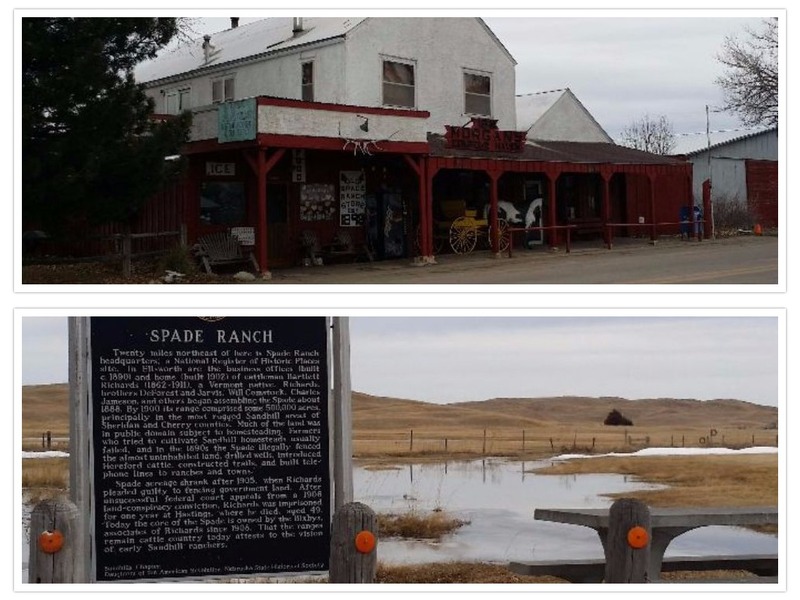 It was a day for getting out and exploring Nebraska! So I packed a lunch and filled the car up with gas and headed out to explore. 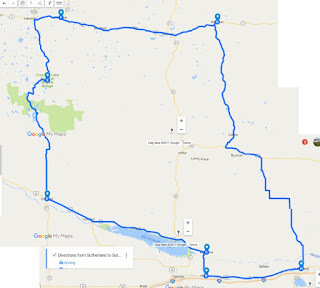 I’ve been wanting to do this route for years, and it was all I had imagined it would be! I will confess that I had loaned my “good” camera out, so all of the accompanying photos are taken with my cell phone. 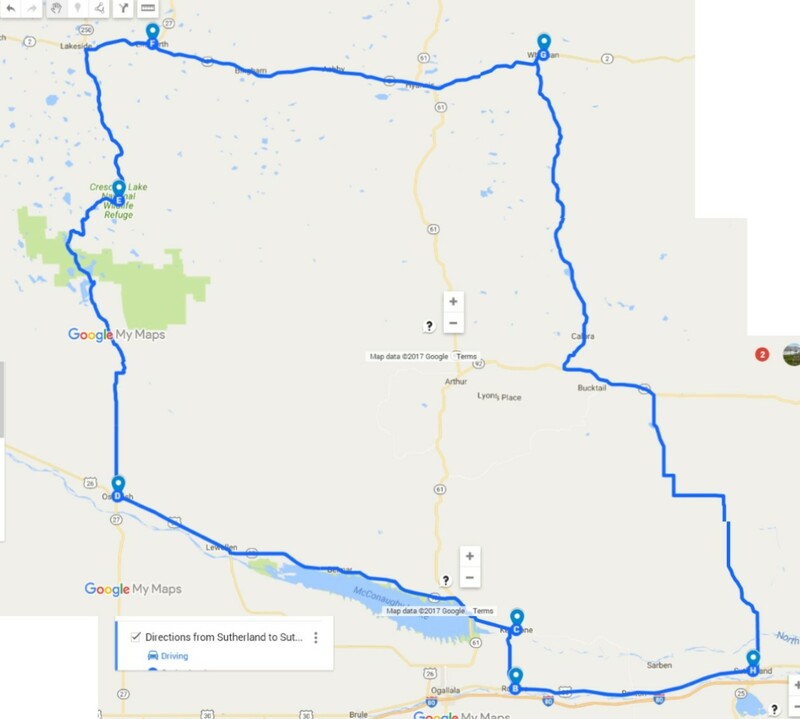 Don’t let the poor photo quality prejudice you against this road trip! Take it for yourself and you’ll experience just why no photography can truly do it justice - though most will do a better job than these. 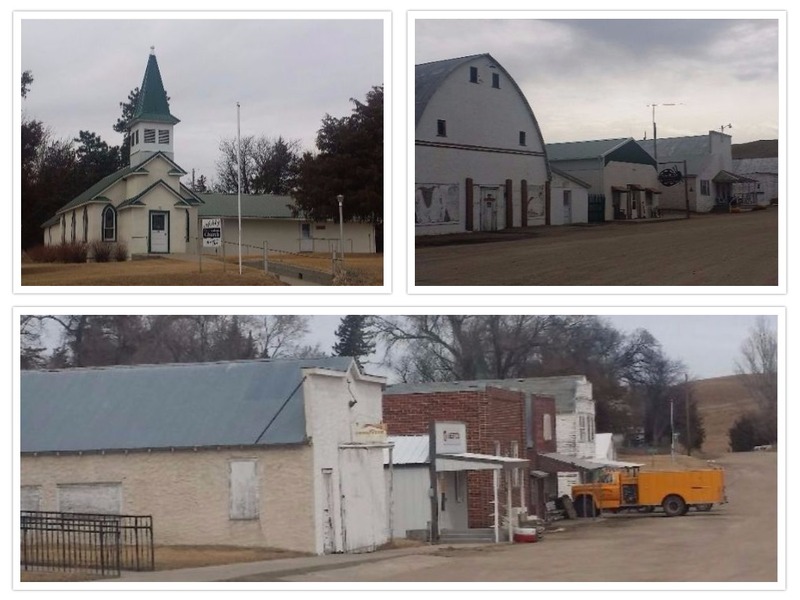 My first stop was Lewellen, Nebraska, and what an absolutely lovely little town it is! Yes, it is tiny - 224 at the 2010 census (down from an all-time high population of 532 in 1940) - and its population does continue to dwindle, but it has so much going on! 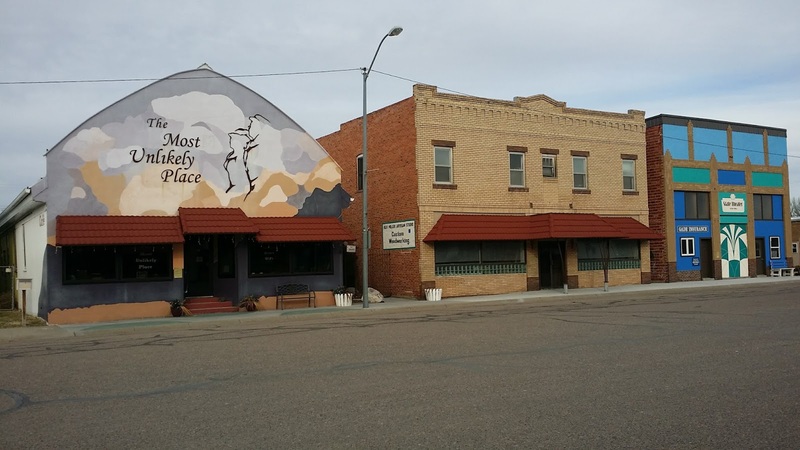 You’ll find The Most Unlikely Place here, the Ash Hollow Art Gallery at Blue Water Gallery, 17 Ranch Winery, Lewellen Lumber, a bank, watering hole and a host of other businesses. Then my travels took me on to Oshkosh, Nebraska. In the 2010 census, the population of Oshkosh was listed at 884. The 2015 estimate is 828, down from an all-time high in 1970 of 1067. 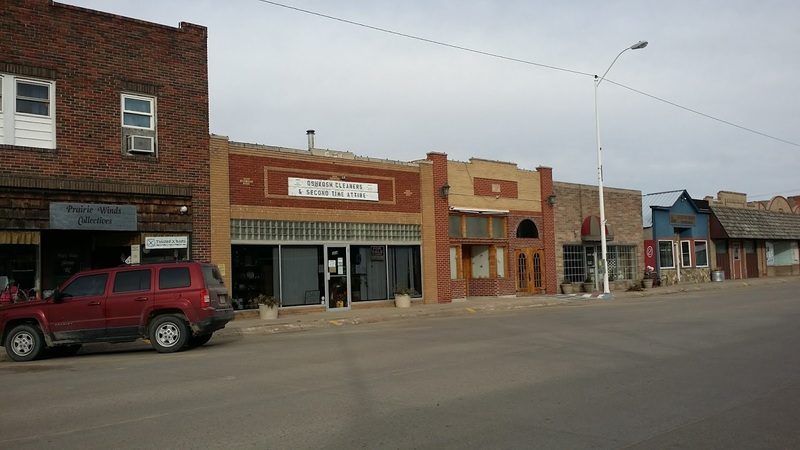 As you can imagine from this trend, there are a lot of empty storefronts on what was once a thriving main street. 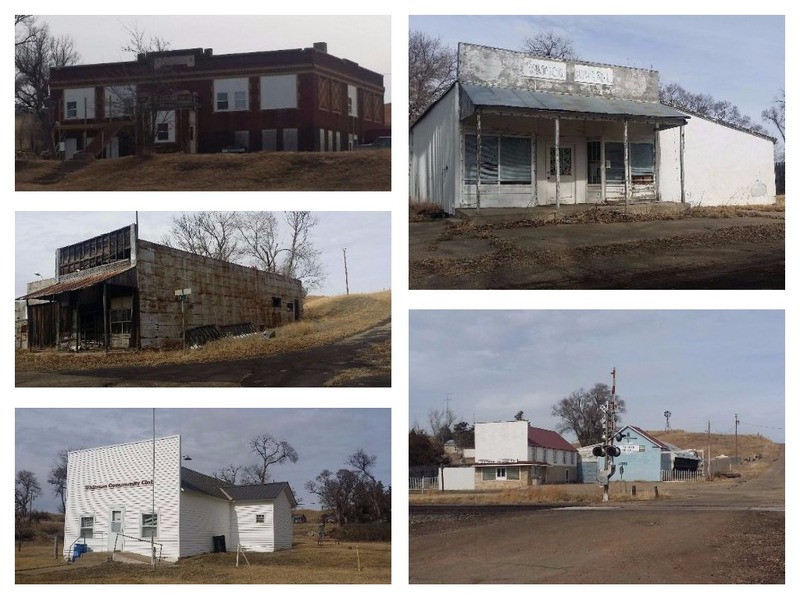 However, it is obvious that the remaining residents take great pride in their community. One thriving business is Mark Ferrari Specialty Coffees. It might be unusual to find specialty Kona coffee in Oshkosh Nebraska, but the locals certainly support it. I should have made my road trip on President’s Day instead of Sunday, as it was closed. 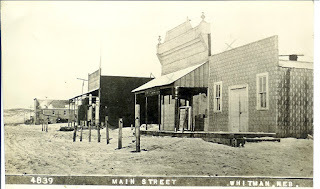 From Oshkosh, you go straight north on Second Street out into the Sandhills. The road is a combination of pavement, gravel and single-lane oil, and in places very rough, but it is so worth the drive. You’ll meander through some of the most stunning Sandhill scenery you’ve ever experienced. It’s about 30 miles, but Google maps indicates it will take about an hour. On a beautiful day, it will take much, much longer as you’ll want to stop at every incredible vista for photos. Besides the National Wildlife Refuge, there is also a Nebraska Game and Parks Commission Crescent Lake Wildlife Management Area. The WMA was opened in 2011 and allows primitive camping, the only overnight accommodations outside of “neighboring” towns of Oshkosh or Alliance. The Refuge itself encompasses nearly 49,000 acres, and the WMA adds another 900. Hunting is allowed September 1 through January 31. All other times are open to recreational use such as hiking, photography and birdwatching. I would recommend loading the kayaks! If you’ve never visited, you really do need to put this on your Nebraska bucket list. And, don’t do like I did, make a quick drive-through! 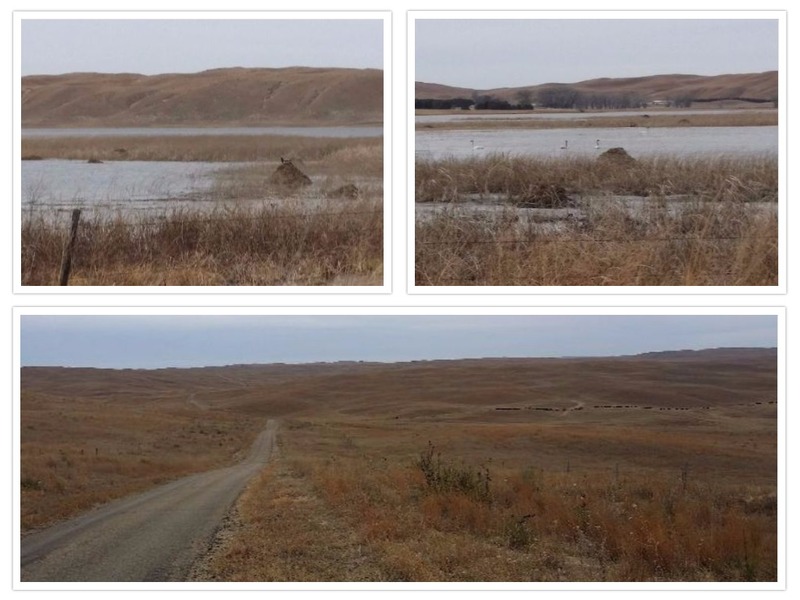 If at all possible, camp overnight at the WMA and spend a day or two hiking in the serenity of the beautiful Nebraska Sandhills! 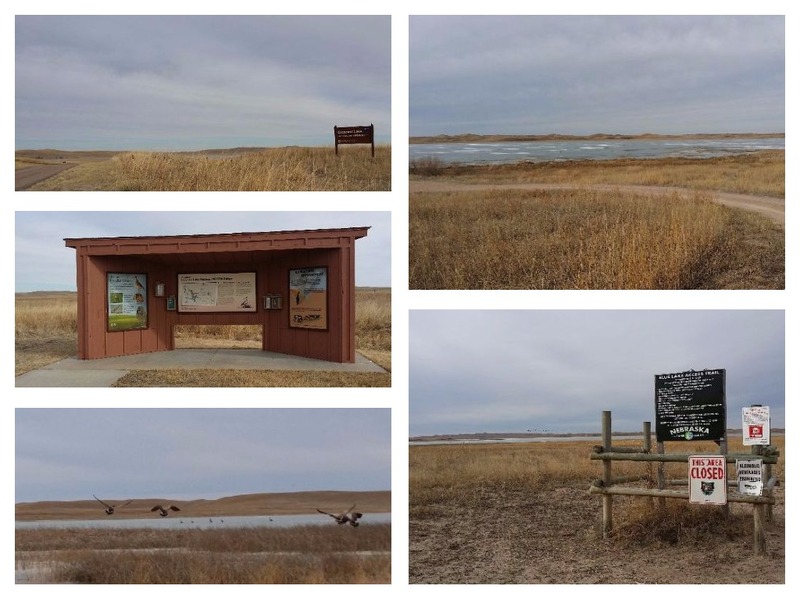 From Crescent Lake it’s an 18 mile drive north to Highway 2, the Sandhills Journey Scenic Byway. From there I turned east to Whitman, exploring the tiny towns of Ellsworth, Bingham and Ashby along the way. 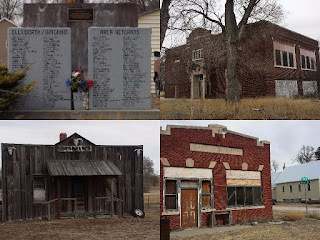 Ellsworth, Nebraska is an unincorporated community that began life as the headquarters of the Spade Ranch. 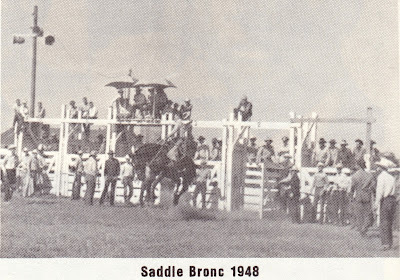 Founded in 1888 by Bartlett Richards, the ranch was placed on the National Register of Historic Places in 1980. 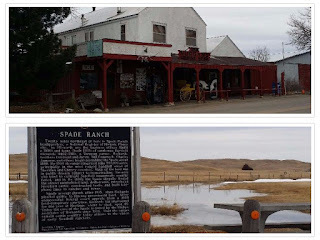 At its peak size in 1905 with open range grazing and ready markets for cattle, the Spade encompassed over 500,000 acres with a herd of 60,000 cattle. 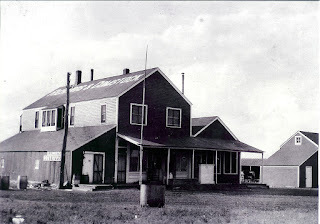 The Spade Ranch Store as it appeared in 1900. 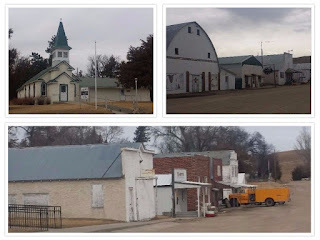 East of Ellsworth is another tiny unincorporated community, Bingham, Nebraska. Not much history is available online for Bingham, but I believe it was founded in 1888. Ashby Nebraska lies between Bingham and Hyannis. 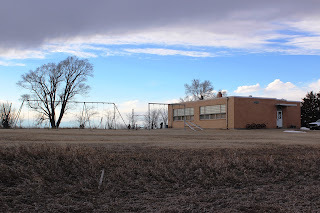 It is another unincorporated settlement, but it holds a special place in the hearts of many Sandhillers for the hours of enjoyment experienced at the dances that used to be held regularly. 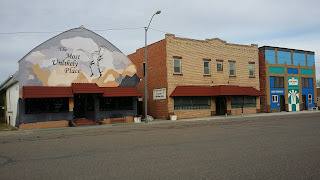 Today, you’ll find Calinda's Pot Shop & Art Gallery on main street. I admit I skipped Hyannis, only because I’ve visited it several times before, and when you had kids in wrestling over the years, you spent many hours in the community, at least at the school. Just some facts, though: The 2010 census lists the population of Hyannis at 182, while the 2015 estimate lists 192, which is great news! It is down from a peak population of 449 in 1940. Empty BNSF coal train heading back to Wyoming. 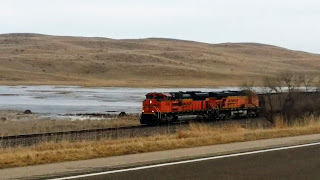 All of Highway 2 following the Burlington Northern rail lines makes for spectacular train spotting. The hills, curves and dramatic backdrops give lots of opportunity for photography. Next up is Whitman, Nebraska. If you look closely at the photo in the upper right, you’ll notice that the tavern, now closed, is the famous “Wet Spot”. 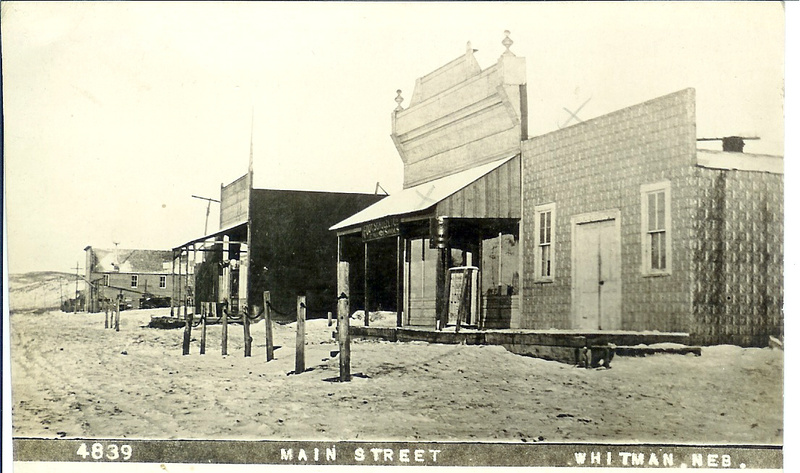 If you look closely at the image below, you may recognize some storefronts that are still standing. Backtracking just slightly west on Highway 2 and you’ll find the South Whitman Road that will wind its way through some of the most beautiful Sandhill scenery to Highway 92 between Arthur and Tryon. 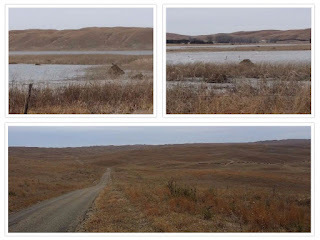 This road trip takes you past many Sandhills Playa lakes, havens for wildlife and birds. Please note, though. All of the land along the South Whitman Road is private land, not open to the public! Look, but don’t wander on unless you take the time to reach out to the landowners! From here it was a short drive east on Highway 92 to the Diamond Bar road, then south to Sutherland. The end of an incredible road trip.